6 Powerful Music Programs That Will Build Your Brain! Inside: Do you know that playing a musical instrument is the only thing we do that exercises the entire brain at once? Here are 6 music programs with super brain powers that will improve learning in all children. If you’re looking to strengthen the auditory, visual and motor cortices of the brain…here’s what you need to do. School is winding down. Parents and kids are getting ready to launch into the “lazy-days-of-summer.” But educators are worried. They know that during the summer, kids will forget a chunk of information learned in class over the past 9 months. When they return to school in the fall, teachers will spend the first two months reviewing everything students forgot during those hot sunny days. There are many worthwhile summer programs that will get your kids moving and participating in fun and educational exercises. But some programs outweigh others when it comes to brain-building activities. For instance, nothing beats music lessons for strengthening the brain and helping your child retain information. If your kids take music lessons or are involved in specific music programs during the summer, when they start back to school in the fall, their brains will be in tip-top shape! (but don’t stop the lessons–keep them going). As I’ve said in previous blogs, music is the only activity we do that exercises the entire brain—left, right, front, back portions—simultaneously. Learning a musical instrument is giving the brain a major aerobic workout. And, it’s just what the teacher ordered to safeguard retention of information during the summer. There are music lessons and music programs. Both are similar in that you are studying music. Music lessons usually mean your child is learning a musical instrument and taking traditional lessons from a private teacher. Your child is learning a musical instrument using a specific method (Suzuki) taught by a private teacher or in a group. 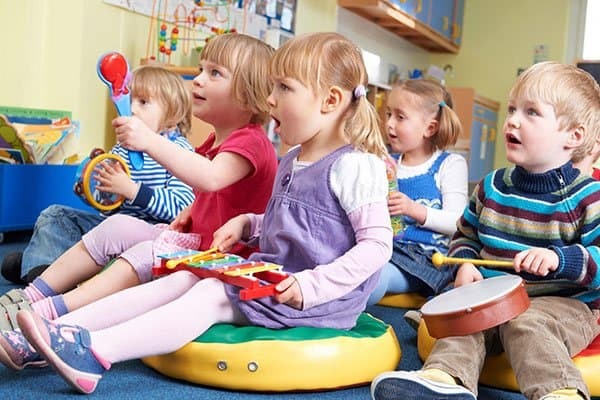 Your child is engaged in different aspects of music (singing, movement, rhythm instruments, etc.) under the umbrella of a particular music program (Let’s Play Music, Orff-Schulwerk, Kodály, etc.). These are usually taught in group settings. Participation in many of these programs starts at 18 months. Some are mommy-and-me. The emphasis is on musical games, stories, singing, and movement. 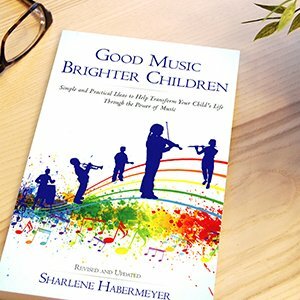 As the child gets older, lessons become more sophisticated as they learn to read notes, understand intervals, notation, and even learn how to compose music. When a child learns to play a musical instrument, the entire brain is exercised: the left, right, front, back portions–making music the most powerful brain-building activity. Music programs, music lessons all translate into children who are better at reading, writing, math, language arts, spelling, vocabulary, memorization and more. Let’s look at these areas and how they are influenced by music and how they increase learning. Do you know that the auditory cortex of the brain is five times smaller than the visual cortex? It’s already established in the brain that we learn quicker and easier by visually looking at something. But here’s the rub: when your child learns to read, she/he must use their ears first, (auditory cortex) and their eyes second (visual cortex). Think back when you were learning to read. All those letters on the page looked like Greek and it wasn’t until your teacher said the word, and you used your ears, that you understood how to say the word. The rule for reading is: ears first to hear the pronunciation of the word and eyes second to visually recognize the word. From various brain scans, scientists know that learning a musical instrument strengthens all areas of the auditory cortex thereby making it easier for your child to read, listen, understand speech and language, learn vocabulary words, and process information in the classroom and elsewhere. It also helps a learning-disabled child as all learning issues begin with auditory processing, or not being able to process what is heard. Kodály is a group music program that develops and strengthens the auditory cortex. Incredibly so! 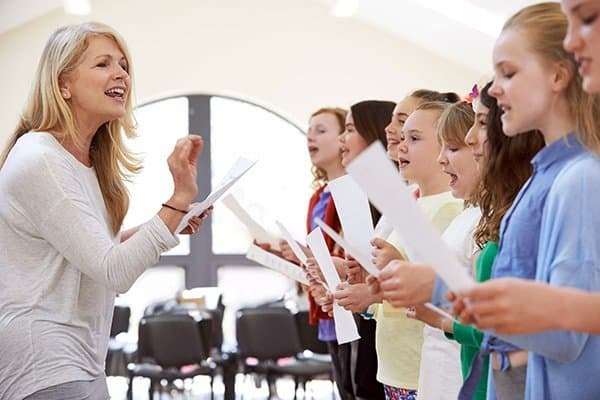 Kodály will train your children to sing with perfect pitch without the aid of an instrument. It’s called solfege and it takes practice. While singing they will also learn certain hand signals that reinforce learning. It’s called Curwen. This training builds the auditory cortex thus improving reading, listening, and processing information. 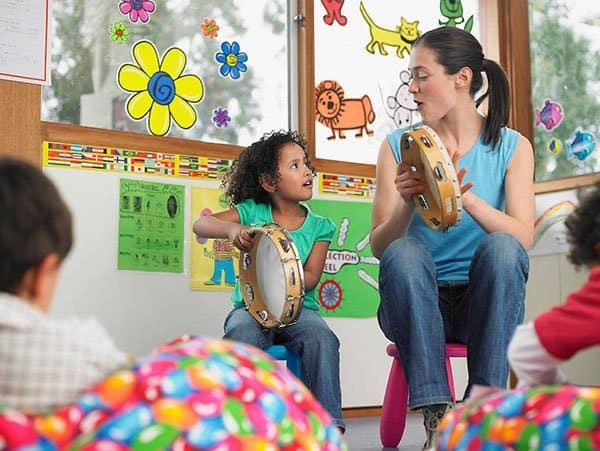 Kodály also helps with memory skills as your child learns different songs with different rhythms. Aural or listening skills are developed as he/she listens to the varying pitch, rhythm, and harmony of a multitude of songs. This singing method is an impressive brain-builder! Look for programs in your neighborhood. I used to belong to Organization of American Kodály Educators (OAKE). The skill level of children singing using the Kodály method is mind-blowing. You can understand why their auditory systems are so keenly developed and sophisticated when you watch them sing with perfect pitch and no accompaniment. Suzuki violin trains a child’s ear to listen and play what she hears. It is a marvelous program for building the auditory cortex and helping kids to develop greater listening and memorization skills. This program also targets the auditory cortex as your child is required to carefully listen in order to imitate what he/she hears. It can be a private or group program. Suzuki was founded by Shinichi Suzuki in Japan. He believed that given the proper musical learning environment, all children could learn and reach their potential. His approach to teaching music is based on how children learn a language. First, they listen to the sounds (auditory) and then they try to imitate those sounds. Eventually, they mimic words, then phrases, and finally whole sentences. Using this same method in music, Suzuki students first listen to a note, then they imitate that. The process is repeated with a musical phrase and finally an entire piece. With patience, love, and encouragement, parents and teachers teach the child to play the violin, cello, viola, flute or piano. Each step is mastered with constant repetition. it sparked his enthusiasm to stick with it and learn more. very creative (they tend to dream in color while most people dream in black & white). Think Albert Einstein whose visual/spatial areas of his brain were 25 percent larger than most people. He was an accomplished violinist and credits music with organizing his brain and helping him to solve intricate theories and problems in his minds-eye. His friend said that Einstein used music for inspiration and that the answers to complex problems came to him in the midst of playing his violin. Music strengthens the visual/spatial areas of the brain. Kids who have strong visual/spatial areas do well in math and science. 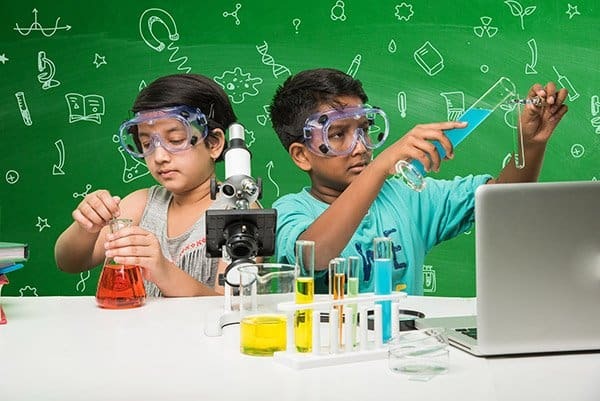 In fact, music is so important for building these areas, that STEM has been changed to STEMMM–standing for Science, Technology, Engineering, Math, Medicine, and MUSIC! 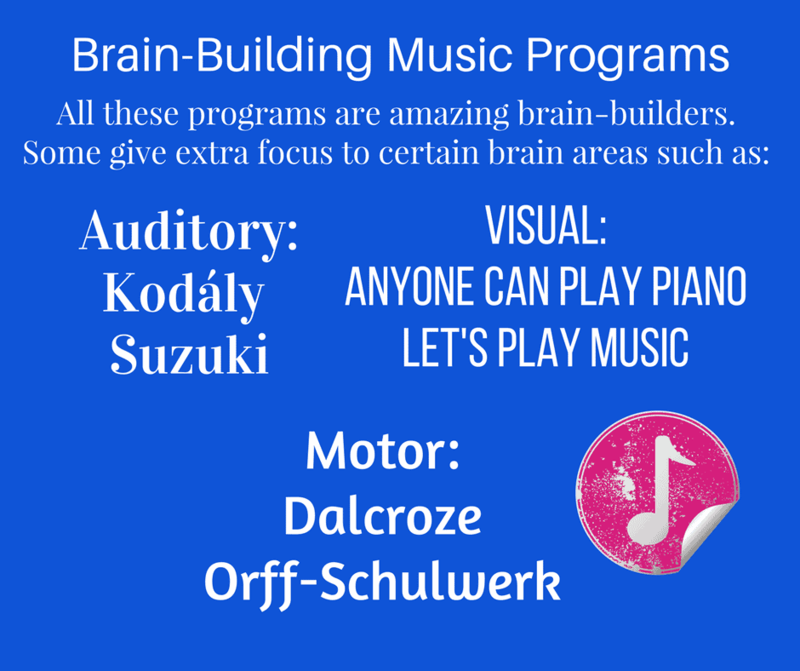 Music is that important for priming the brain for these subjects. 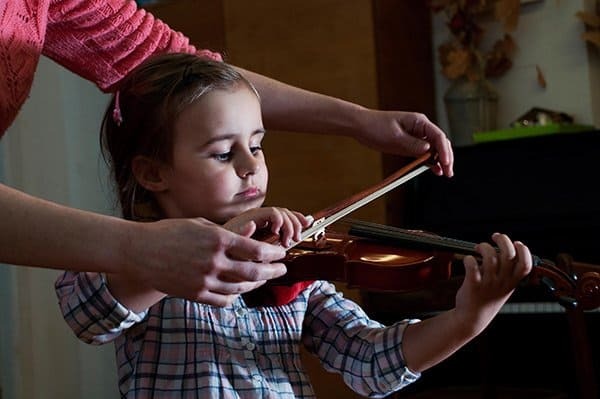 Studies show that when your child learns a musical instrument it primes, prepares, and develops the spatial areas of the brain in such a way that your child is able to understand science, technology, engineering, and math more easily. These are called STEM subjects. Interestingly, educators are now calling it: STEMMM. This stands for Science, Technology, Engineering, Math, Medicine, and Music–because more and more educators are realizing the importance of music on brain development. Music was considered one of the four pillars of learning during the time of Pythagoras. If people understood it’s importance centuries ago–then so should we. The visual/spatial areas of the brain are also tied to creativity. Creative problem-solvers will be needed for 21st-century problems. When your children play a musical instrument, you will begin to notice a correlation between a higher-level of problem-solving skills and their music skills. Note: these two programs are amazing for building the visual cortex as well as the auditory and motor cortices. Anybody Can Play Piano is an amazing program that teaches even very young children (3 years old and above) how to read music. It is a colorful approach to learning piano and uses an app. And, it only costs $1.99/month! This is a colorful program that will teach your child as young as 3-years-old to read music. Developed by Karla Hastings Crossett a conservatory-trained musician with a background in languages, she devised this music method which parallels language so that reading skills are not needed…only speech. Hence, even a 3-year-old can learn to read music using this method. Crossett’s music program involves an app that will teach your child to play the piano using a tablet or touch-screen computer. The app works with a midi keyboard or controller and the child can use the app independently. 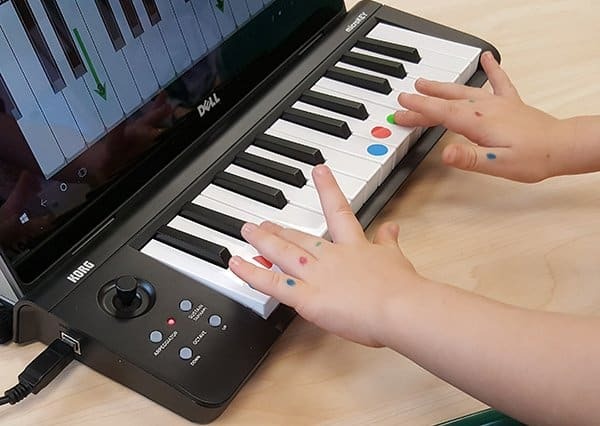 The music curriculum uses finger colors by matching the colors on your child’s fingers to the colors on the keyboard. This patterning helps very young children learn to read music and it also builds memorization skills as your child memorizes colors, notes, and keys on the keyboard. The Anybody Can Play Piano website has many worksheets pertaining to patterning with piano keys. They are not necessary. The app alone is sufficient, but the additional activities offered in the program reinforce visual learning. This amazing program costs only $1.99 per month! Let’s Play Music is an excellent music program! Using the concepts found in Orff-Schulwerk, Dalcroze, and Kodály, the program introduces your child between the ages of four through six to music, movement, and singing. Let’s Play Music is the brainchild of music education major, Shelle Soelberg. Unable to find a suitable music program for her daughter, she began writing her own curriculum and a year later, Let’s Play Music, was born. Using the concepts found in Orff-Schulwerk, Dalcroze, and Kodaly, the program will introduce your child between the ages of four through six to music, movement, and singing. The first year incorporates games, songs and tone bells to teach staff awareness and rhythm reading skills. The second year, your child will transfer these skills to playing the piano, where he/she will learn chord notation, intervals, and harmonic improvisation. 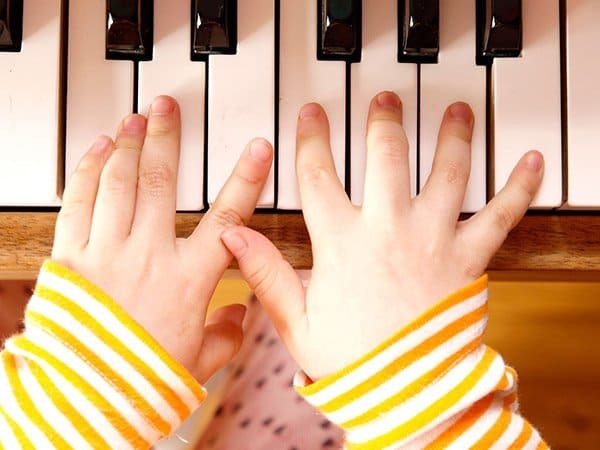 By the end of the third year, your child will be playing the piano at a level one or two, transposing music, composing his/her own music, sight-reading music, and are prepared to excel in further private piano instruction. Recently, “Sound Beginnings” was added to the curriculum. The program, for children ages two to four, includes singing, movement, games, stories, and activities. Let’s Play Music is offered in twenty-six states and in Canada. Check their website for a program near you. Both “Anybody Can Play Piano” and “Let’s Play Music” are affordable music programs. Stop whatever you are doing and enroll your children in both programs—they are worth it and they will love them! Learning a musical instrument develops the motor areas of our brain—which is important for the development and organization of the entire neurological system. When your children learn to play any musical instrument: string, percussion, brass or woodwinds, they are using their hands and/or feet—which all develop the motor areas of the brain. When your young child pounds on rhythm instruments, claps her hands, stamps her feet, snaps her fingers or marches around the room she is using the motor areas of her brain. It’s similar to a baby learning to crawl—all these activities organize the brain; helps the child to remain focused and increases memorization skills as they learn patterning and sequencing. These specific body movements are found in the Dalcroze and Orff-Schulwerk programs. Movement is essential to learning and when both music and movement are combined, it’s a winning experience. Dalcroze is a music program that incorporates the use of specific movements called eurhythmics. The body is literally trained as an instrument and children move and dance to music. Dalcroze was started in Switzerland by Emile Jaques-Dalcroze. It’s a is a form of dancing that uses specific movements called eurhythmics. Children move their bodies rhythmically to the beat of the music. The body literally becomes an instrument and is trained as an instrument. Attention, concentration, and memory are required. Dalcroze will teach your child to understand, follow, and repeat complex rhythms. When your child hears the music, she moves her body in sync with the rhythms. By merging the sense of seeing, hearing, feeling, and moving to the music, she enjoys a complete musical experience. Many different senses come together in the Dalcroze experience: seeing, hearing, feeling and moving. Scientists say that movement is an indispensable part of learning and thinking. Dancing and moving to the music, marching, singing, whistling melodies, humming tunes all boost a child’s language, listening and motor skills. They also help develop physical coordination, timing, and memory. Orff-Schulwerk was started by a German composer, Carl Orff and his associate, Hunild Keetman. Orff’s philosophy is, “Out of movement, music; out of music, movement.” Clapping, stamping, patting the hands on the lap, and finger snapping are the four body movements that make up the Orff experience. Through play activities and the use of rhythm instruments such as drums, sticks, blocks, and bells, your children learn music patterns and how to keep a beat. Orff’s melody instruments include wooden xylophones and metal glockenspiels (glockenspiel means “bell play” in German). This method is a group experience, and your children learn to be team participants through songs, games, rhymes, and dances. The Orff-Schulwerk program has been translated into 18 languages and is taught all over the world using the traditional music and folklore of the country in which it is taught. There are more than 10,000 Orff teaches in the United States. You now have several choices. You can enroll your child in traditional private music lessons from a trained music teacher. You can enroll your child in one or more of the programs just discussed. Or you can do a combination of both. Do you have your children enrolled in a music program that you love and your children love? Have you noticed that the program has helped your child academically? Please share in the comment section below. I LOVED this BLOG! It makes me wish I could be young again, and experience all of these programs and methods. I taught myself how to play the piano and organ. I also played the alto sax in band. I learned guitar basics and also the ukulele. But had zero training, and never really mastered anything! Wish I could start again! 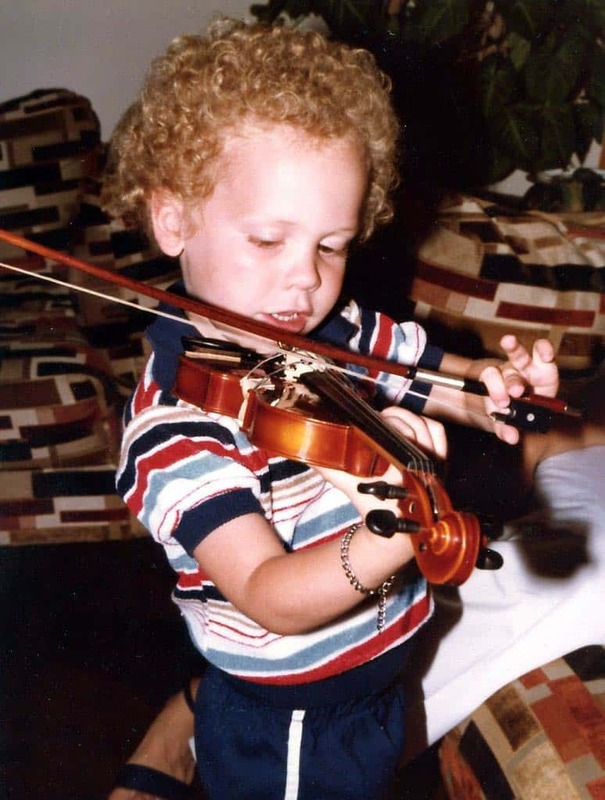 I have always had music in my soul!!! We grow too old too soon! This is wonderful info for young people to use! I only hope we can continue learning in HEAVEN! Parents, encourage your children and push yourselves to never give up! Cheryl–thank you for your comments–loved what you had to say. However, here are a couple of things: if you learned to play all those instruments without training, then you definitely have music in your soul! That’s impressive! And you obviously have a strong auditory cortex to have done that. But, there is an interesting book you should read, “It’s Never Too Late,” by John Holt. He started playing the cello at age 50 and went on to join a chamber orchestra. With your musical talent–you need to continue. Take lessons, join a band, etc. Music keeps the mind young and the heart pumping. I wish I could play the instruments you do–that’s truly amazing! This is the best “short story” on learning/teaching music to/for children that I have ever come across! THIS IS TRULY A MONUMENTAL TASK FOR YOU, HOWEVER YOUR ABILITY TO MAKE PARENTS, TEACHERS AND OTHER INTERESTED PEOPLE AWARE OF SIMPLE PROGRAMS AND IDEAS–WILL EFFECTIVELY MOTIVATE FAMILIES AND SCHOOLROOMS, ONE-BY-ONE, TO PRODUCE MORE BALANCE, HAPPINESS, AND MORE FULFILLMENT. Thank you again and again! IN LIVES OF CHILDREN, EVERYWHERE. I salute your giving heart(s) and your smart brain(s)! Thank you, Antoinette, for your kind and supportive comments! You, of anyone, understands the importance of music in building a child in so many different ways. Thank YOU and Bob for all your tireless efforts in bringing music to children all over the United States!